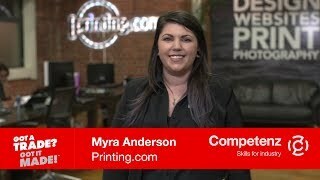 The Pride in Print Awards – celebrating excellence in the print industry – recognised some of New Zealand’s outstanding print apprentices in 2015. The awards, which took place last month at the SkyCity Convention Centre, had five semi-finalists in the PrintNZ Apprentice of the Year category, with Sione Tonga from Stratex Group winning the coveted top award. Sione is thankful to the team at Stratex and the support from his family. “I’ve always wanted a job with a career path that would give me the opportunity to give my wife and kids a better life, and a job I could come home from and feel like I had achieved something,” Sione says. Competenz National Manager for Print, Packaging, Sign & Journalism Mike Stevens says the awards night is an opportunity to celebrate the best in the industry with family and friends. 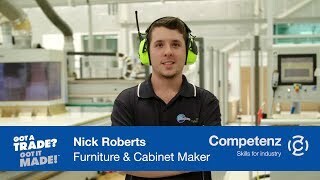 “It’s a great opportunity to celebrate all the work the apprentices have done over the last four years. 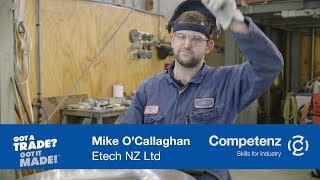 All five semi-finalists have gone above and beyond in their training, and have shown initiative in their work which will see them go far in the industry,” Mike says. Competenz congratulates all the finalists and winners. As proud supporters of the print industry, we’re actively working with the industry to grow and develop training opportunities for apprentices.